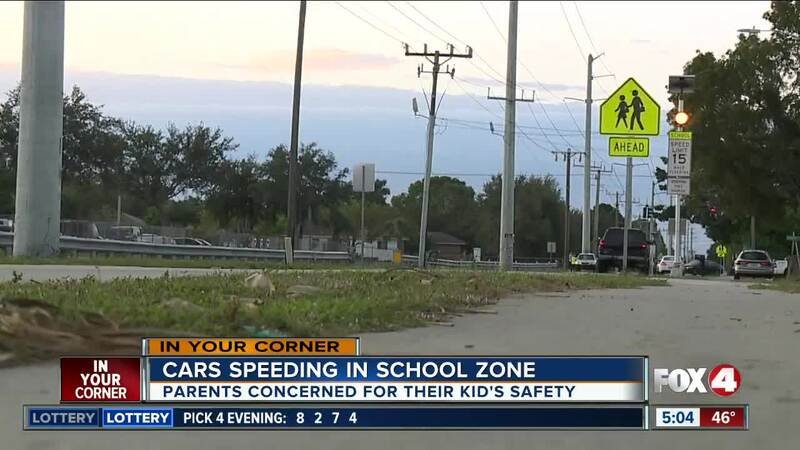 FORT MYERS, Fla. – Several parents are concerned about drivers speeding near their kids outside of a Fort Myers school. They said people are driving too fast near Franklin Park Elementary in Dunbar. 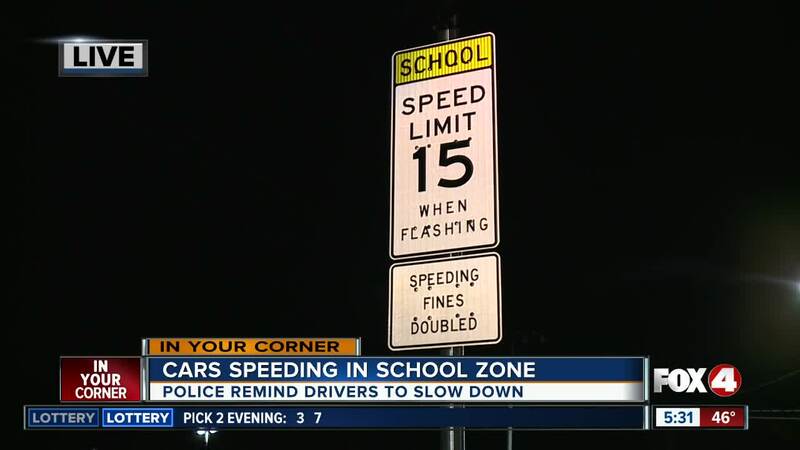 Fox 4 cameras caught cars speeding in the school zone Wednesday morning. Parents said it’s happening every morning and afternoon. They say cars are going 25 to 30 MPH over the speed limit. The elementary school is surrounded by homes where a lot of children are around. Some parents said they won’t let their kids play near the road because they are scared they will get hit by a car. The police department and the city of Fort Myers recently put up electronic speed limit signs. It enforces drivers to go 15 MPH when the lights are flashing yellow. They turn on before and after school, when kids are walking around but several drivers are still not slowing down. As the yellow light flashes, Fox 4 caught cars on video speeding and going way over the speed limit. The school principal, Michelle Freeman said several officers have pulled people over for speeding in the school zone. Fort Myers Police said they have more officers patrolling the area to write tickets. The Lee County School District said student safety is their top priority. They are working closely with the police department to fix this problem. They both have received several calls from concerned parents and are aware of this situation. Police remind drivers to slow down in school zones because it’s the law.